Far beyond what is necessary. That is the word Jesus uses to describe the life he can give us..
10 …I came so they can have real and eternal life, more and better life than they ever dreamed of. John 10:10 Msg. The Greek word, Perissos translated (better, fullness or abundance) describes something that goes far beyond what is necessary. Jesus promised to provide abundant, or full life to his people. An image that comes to mind is the cup described in Psalm 23:5, that is “filled to overflowing” by the Shepherd who is the Lord. Abundance of life points to depth of living now and length of living in eternity. It is not only life as good as it can be, but also life beyond what we can imagine! Be careful, it is clearly not, a life that denies problems and pain. Rather, it is a life that faces them and makes use of them. Instead of letting us focus on the ups and downs of life, Jesus takes us deep into life itself, where there is a calm center even in the storm. Do you want a better life? For living day to day Jesus offers fullness, in troubles Jesus promises his presence, in death he gives us eternal life. Why settle? Live a better life. 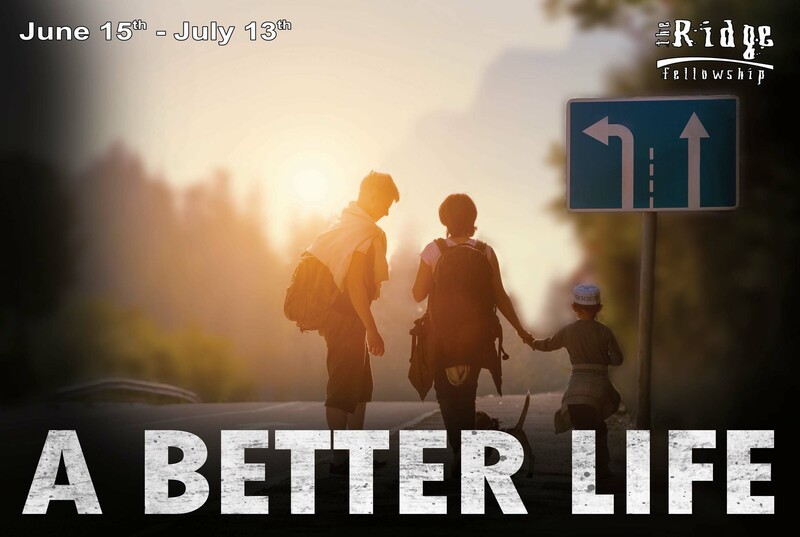 Join us this Sunday as begin our new series, A Better Life.